Martha Stewart can call me basic all she wants, but I love pumpkin spice! I’m a sucker for anything in a pumpkin-y orange package and will likely drink enough pumpkin spice lattes this year to fill a swimming pool. So, when the Maple Pecan Latte craze started making a run for my pumpkin spice’s money, I’ll admit, I was skeptical at first. How dare an MPL try and take over the warm spot in my PSL-loving heart!? Some of the links in this post are affiliate links. If you make a purchase through the link there is no additional cost to you, but I will make a small commision that allows me to keep bringing you delicious healthy dessert recipes! Except that the flavor combo was pretty intriguing. Maple? Good. Pecan? Good. Coffee? Reeeeeally good. Maybe there was something to this MPL after all. So, what the heck, I thought. Let’s give it a try. And what dessert goes good with coffee, but donuts! 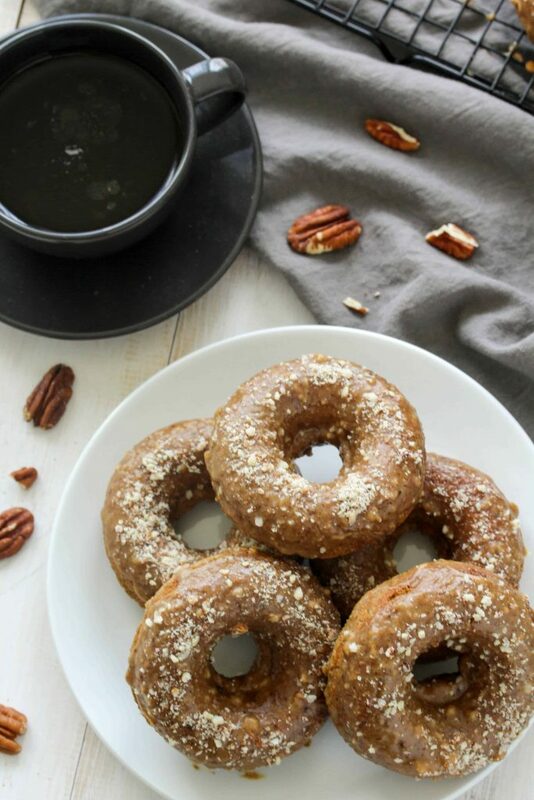 So, why not make a baked Maple Pecan Latte Donut! So, I did. And ya know what? I get it! Maple and pecans complement each other so well. And when those flavors are packed in a fluffy donut they’re hard to beat! But, if we want this to be latte-esque there’s got to be some coffee, amIright? 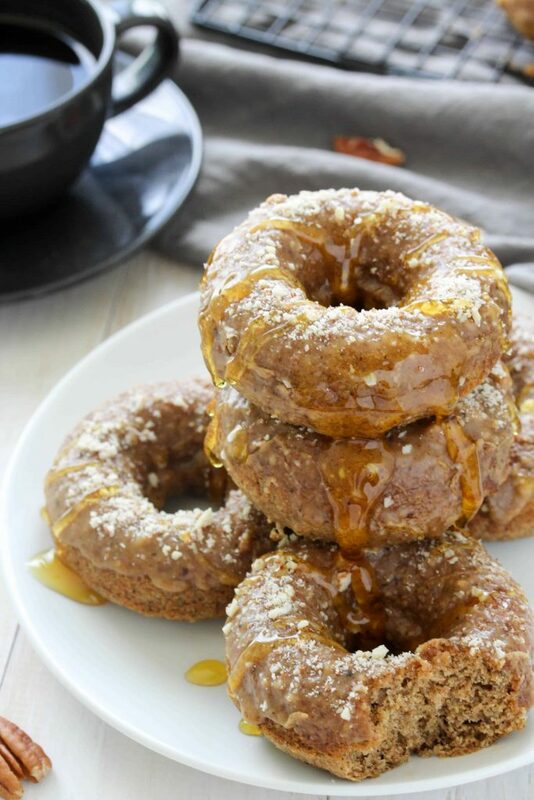 So, to top off the sweet, fluffy donuts is a coffee infused maple pecan glaze. That’s right! Maple and pecan in the donut/maple and pecan and coffee in the glaze. When I go for something I go all in. The donuts and glaze are both easy to make. No fancy mixing methods or equipment is needed. It’s all done by hand. 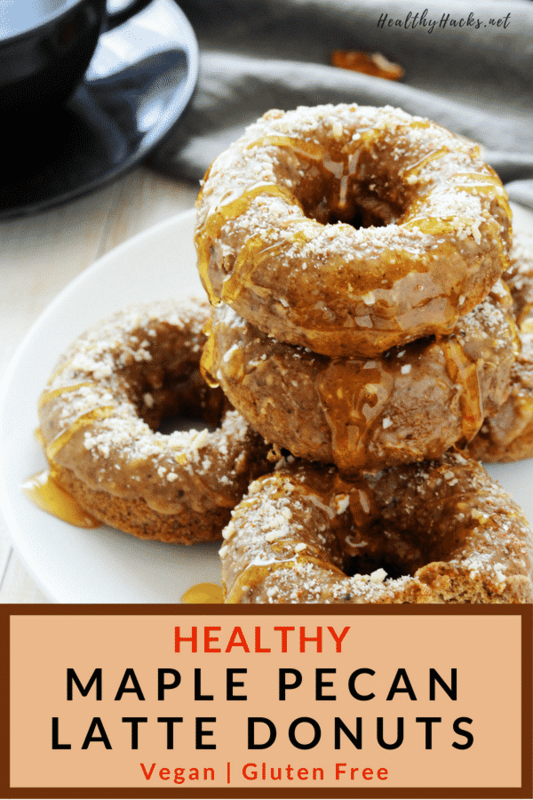 The only thing you really need is a donut pan, because these healthy donuts are baked, not fried. 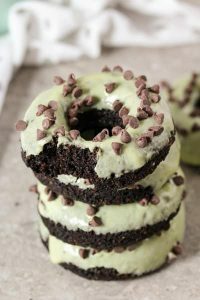 But, if you don’t have a donut pan and don’t want to get one, you can totally make this recipe into muffins. Just keep an eye on them when baking since the baking time will likely be different. 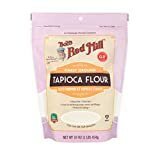 I’ve also made a gluten free and whole wheat flour option. 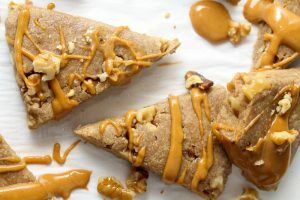 The gluten free version is light and full of flavor and slightly lower in carbs, while the whole wheat flour version is slightly fluffier, chewier, and higher in fiber. Both equally delicious! You really can’t go wrong with either option. But, whichever option you choose, make sure you let the donuts cool completely before dipping them in the sweet, gooey glaze. You’ll want to take the donuts out of the pan once they’ve slightly cooled after baking and let them cool completely on a wire rack. If you try dipping them in the glaze while they’re still warm, they will likely get stick in the glaze and break apart. Why the glaze acts like quick sand and traps a warm donut in it, I’m not sure. But, if the donut is cool, you shouldn’t have a problem! It’s all about patience, people. Of which I don’t have a lot, but I do like my glazed donuts intact and not sweet, crumbly messes, so sometimes I can control myself. What are your thoughts on MPL vs. PSL? Are you a devoted pumpkin spice lover or are you over it? Let me know! 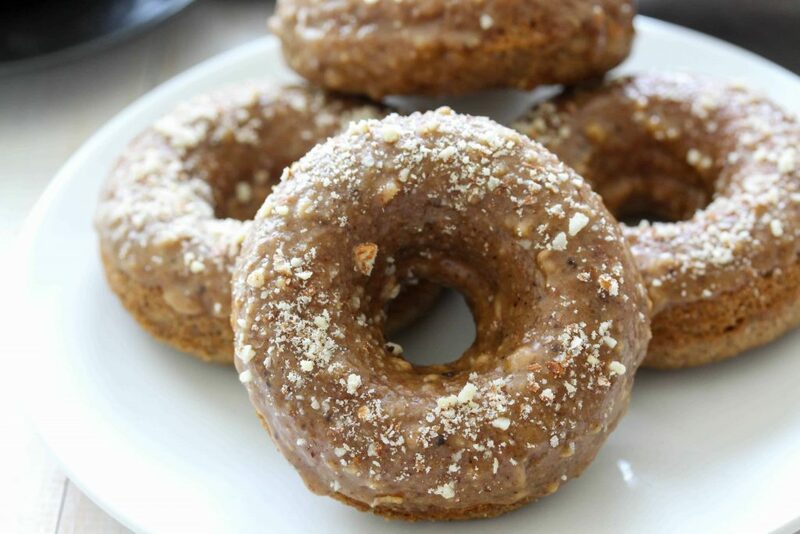 And if you make these donuts, share a pic with me on Instagram or Twitter @HealthyHacksRD. I love to see your masterpieces! 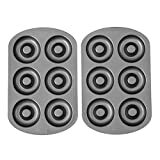 Preheat the oven to 350 F. Grease a 6-cavity donut pan. 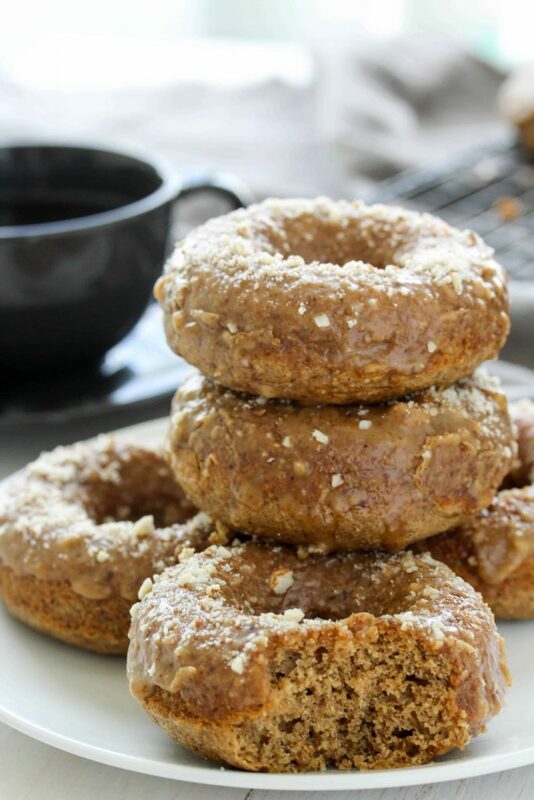 For the donuts: in a medium sized bowl, whisk together the oat flour, almond flour, tapioca flour, (OR whole wheat flour), baking powder, baking soda, salt, and nutmeg. In a seperate bowl, stir together the yogurt, maple syrup, date paste, egg, pecan butter, and vanilla extract. Pour the wet ingredients into the dry ingredients and stir until well combined. If using whole wheat flour, be sure not to overmix the batter. Scoop the batter into a zip lock bag. Cut the tip off one end and use it as a piping bag to pipe the batter into each donut cavity. The cavities should be about 3/4 full. 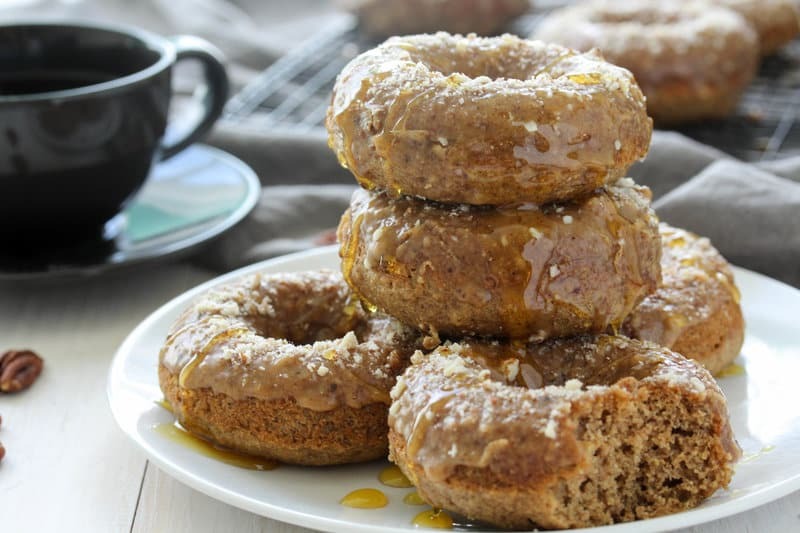 Bake the gluten free donuts for 12-14 min. and the whole wheat donuts for 7-9 min. or until the donuts are springy to the touch. Allow the donuts to cool slightly in the pan (about 5 min.) before letting them cool completely on a wire rack. For the glaze: in a bowl, stir together the powdered sugar, pecan butter, water, and instant coffee. Dip the top of the donuts into the glaze, then sprinkle the chopped pecans on top. To make date paste, blend softened dates in a food processor or blender until smooth and creamy. 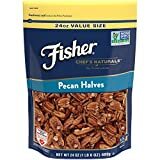 You can also make your own pecan butter by blending pecans in a high speed blender of food processor until smooth. Or, sub it with your favorite nut or seed butter.